Fire of Dreamsville is a psychological fiction about a young boy with autism and his journey through paranormal experience. Except, it is much more than that. The style of writing shows the veritable rollercoaster ride that autism parents and family know all too well, while the story’s premise tackles some of the issues that only the autism community can understand. Fire of Dreamsville breaks down the more poignant and notable factors of autism into a storyboard, where every aspect of the diagnosis for autism spectrum is broken down through the main character’s eyes in different situations and different scenarios. 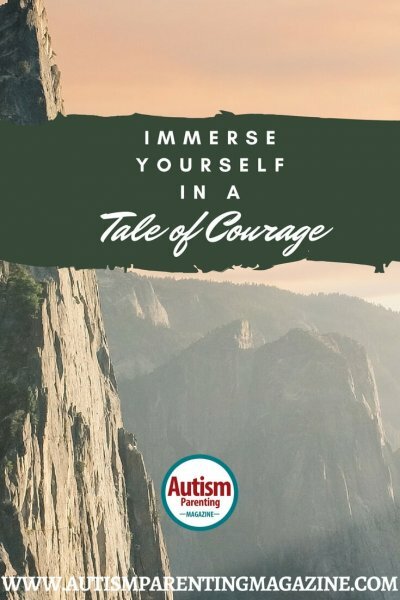 This 238-page novel depicts thoughts and feelings that anybody might experience when confronted with unfamiliar circumstances, and puts them into the special mindset that only an autistic child can have with unprecedented results! The uniqueness of the story is that it takes some of the pamphlets as well as some of the more complicated scientific articles and books about the subject and puts those ideas in these teachings into easier terms to understand while still remaining deeply rooted in facts. So, follow James, the young boy with autism through his paranormal experience to see how he gets through it in his own way and Elaine, a local firefighter, as she’s put through her own scary situation. Will James overcome both his personal and mental barriers in order to save Elaine and the town of Dreamsville? Proceeds to benefit Autism Research. Matthew McDonald is a Masters of Professional Counseling student with a bachelor’s degree in psychology. Autism and all of its various intricacies have been a very important keystone in helping him in his quest to learn as much about the disorder as possible. He has worked extensively with Organization for Autism Research and Southwest Autism Resource and Research Center to gain as much knowledge on the subject as he can in order to come up with the compelling story of Fire of Dreamsville. Matthew McDonald is a Masters of Professional Counseling student with a bachelor's degree in psychology. Autism and all of its various intricacies have been a very important keystone in helping him in his quest to learn as much about the disorder as possible. He has worked extensively with Organization for Autism Research and Southwest Autism Resource and Research Center to gain as much knowledge on the subject as he can in order to come up with the compelling story of Fire of Dreamsville.